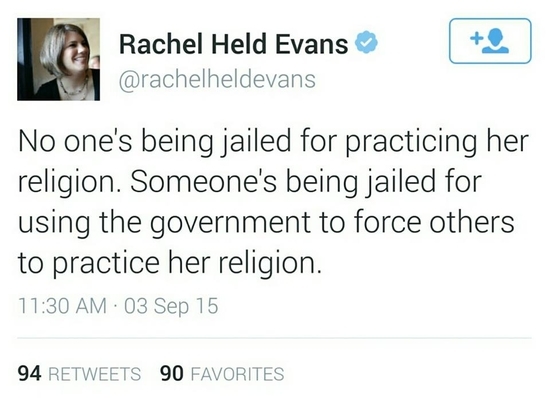 "No one's being jailed for practicing her religion. 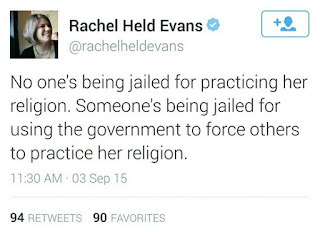 Someone's being jailed for using the government to force others to practice her religion." The Kim Davis saga continues as she spends her fourth day in jail. The United States of America is not a Theocracy. Kim Davis' interpretation of the Bible is not the law of the land. These concepts are not difficult.